About a year ago I’d finished one of my ‘Comedy and Christianity’ events and I was approached by an older gentleman - he was intrigued! The aim of the event is to seek to change people’s perception of the Christian faith. The evening is an un-ashamed excuse to have a good laugh about life but with a challenge to look closer at the Christian faith because “things aren’t always as they seem!” Off the back of these events people are often invited to come along to hear me speak on a Sunday morning some 6 weeks later. Back to the gentleman! He came to see me as I stood at the door, he had decided he would indeed come along to the service to hear me speak. Not because he was seeking per-se (though it’s clear now that he was) but rather he couldn’t get his head around the fact that a comedian would preach a sermon (his words!). To cut an 8-month long story short he was true to his word, he came along and actually on that morning came to faith in Christ. I met him a further 6 months on and he came to see me with the biggest smile ever, announcing “I’m still going strong you know, been to church every Sunday and now done Alpha”. This is one of many reasons why I value, celebrate and encourage what I call the “healthy maybe” in a person’s journey to faith. This story is not uncommon. In fact, I would say it’s the norm. If you ever listen to someone telling you their story of how they came to faith in Christ - most people’s journey involved them at some point travelling through the “healthy Maybe” on their way to a “little Yes” and a “big Yes’. I’ve met so many people when they’ve been in the healthy maybe stage, it excites me because at this stage they are on the way. However, if we’re not careful we can put such a big focus on a person committing their life to Christ - we end up not celebrating all the little decisions along the way. I remember speaking to a lady who was disappointed and defeated because her husband didn’t commit to following Jesus at a particular event I was speaking at. She had been praying for him for thirty years! Yet that night was the first night he had come along to church with her and he had asked her if he could come. That’s a healthy maybe! It might not have been the big yes but it needed to be celebrated. One of the biggest challenges I believe the church faces is changing the perceptions people have of the Christian faith and church. This means anything that helps address this, however small, is something we should celebrate. Whenever I preach the gospel, share my faith one-to-one, produce resources or help churches with their evangelism - I try to build in a healthy maybe option. I’ve had people come to see me at the end of my evangelistic events introducing themselves as “a healthy maybe”, this makes me happy as they are on the way! Have a prayerful think about the people you have had the opportunity to share your faith, especially the young people in your Company. Are any of them a “Healthy maybe”? Thank God for this and then think about how you might be able to help them. 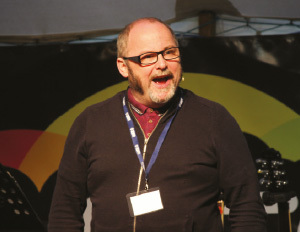 Mark Greenwood is an evangelist who finds himself travelling across the country to speak at churches and other events. 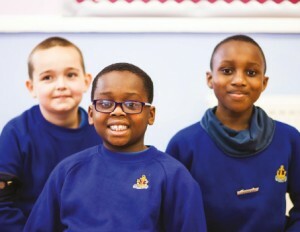 Mark is no stranger to The Boys’ Brigade having been a speaker at Unite and Firm Foundations, as well as at many other BB events around the country through the years. He is a keen Bradford City fan, he loves coffee (bit of a coffee snob), curry, reading, playing the guitar and visiting the cinema (nowhere near enough). He is married with two daughters and currently lives in Warwickshire. He has the best sideburns in the world.